We are pleased to notify you the Draw (#1988) of the NATIONAL LOTTERY, Online Sweepstakes International Lottery Program held on Saturday, 10th January, 2015. Participants were selected through a computer ballot system drawn from a pool of over 25,000 names of distinguished professionals drawn from Europe, America, Asia, Australia, New Zealand, Middle-East, parts of Africa, and North & South America as part of our international promotions program conducted annually to encourage prospective overseas entries. We hope with part of your prize awards, you will take part in our subsequent lottery jackpots. The result of our computer draw (#1988) which took place on Saturday, 10th January, 2015 selected email address attached to an e-ticket number 56475600545 188 with Serial number (5627635368/10) drew the lucky numbers: 13 14 16 24 41 43 (bonus no. 39), which subsequently won you the lottery in the 1st category to the sum of £4,894,600 (Four Million eight hundred and ninety-four thousand, six hundred British Pounds Sterling). You have therefore been approved to claim your winning valued at £4,894,600 (Four Million eight hundred and ninety-four thousand, six hundred British Pounds Sterling) in cheque credited to file KTU/9023118308/10. Your prize award has been insured in your email address and is ready for claims. To begin your claims therefore, you are advised to expeditiously contact our licensed and accredited claim agent for Overseas Lottery Winners within a period of 7 days (date of this email inclusive) for the processing of your winning and remittance to your designated bank account after all statutory obligations have been satisfactorily dispensed with. For security reasons, you are advised to keep your winning information confidential till your claim is processed and your money remitted to you in whatever manner you deem fit to claim your prize. This is part of our precautionary measure to avoid double claiming and unwarranted abuse of this program. Please be warned. This promotion takes place twice weekly. Please note that your lucky winning number falls within our European booklet representative as indicated in your play coupon. In view of this, your funds would be released to you by any of our payment offices in the United Kingdom. Please be informed that claims not processed within the stipulated period may be forfeited to the pool without further notice. Our European agent will immediately commence the process to facilitate the release of your funds as soon as you contact him. You may wish to establish contact via e-mail to the agent with the particulars presented below sending the batch and reference numbers and these information below for quick verifications and release of funds between the hours of 8.00am - 7.30pm on Monday through Sunday. Make sure this Verification and Funds Release Form is sent to the Fiduciary agent for quick verification and funds release purpose. Our winners are assured of the utmost standards of confidentiality, and press anonymity until the end of proceedings, and beyond where they so desire. Be further advised to maintain the strictest level of confidentiality until the end of proceedings to circumvent problems associated with fraudulent claims. This is part ofour precautionary measure to avoid double claiming and unwarranted abuse of this program. At your disposal, we remain. 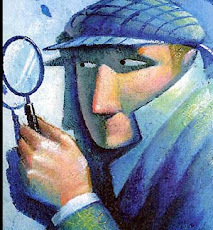 I know you will be surprise to read my email, apart from being surprise you may be skeptical to reply back to me because based on what is going on in the internet world, one has to be very careful because a lot of scam are out there to scam innocent citizen and this has made it very difficult for people to believe anything that comes through the internet but this is a different case. With due Respect and Humanity I write to donate and hand over this fund to you for orphanages and widows / less privileged and propagate the gospel of God(US$5.8M) Five million Eight hundred thousand dollars deposited in a security firm in Cote d'Ivoire by my late husband. I, Mrs Lilian Furman, 68 years old without a child, married to late Engr James Furman from Israel who worked with Oil Company (PETROCI) Cote d'Ivoire before he died in the year 2012 after a Cardiac Arteries Operation, presently my doctor said I will not last for four months due to Colon Cancer, you are requested to send your full name, telephone and fax number with your resident address for documentation process to transfer the fund to you without any hindrance to accomplish our vow to God. Thanks and waiting your quick response. We have been informed this day by the concern authority to have your (FUNDS) release process completed otherwise, the funds will be declared nonserviceable by the bank and consequently, it's confiscation. The time frame is very short and technically, bank transfer is the fastest means of getting this done, so we have reverted to status qua. Mandate has been issued to a commission namely UNCLAIMED ASSET/ASSETS RE-UNITED, USA here in the UNITED STATES to effect this payment to you using it's traditional banking procedure, VIA WIRE TRANSFER and you are to contact the Executive director of JP MORGAN CHASE BANK for the release of the funds to be transferred into your nominated bank account, and here is the contact information below. If you are receiving this notification for the first (Ten Million Five Hundred Thousand Dollars) which is on your name, can only be paid upon our receipt of your beneficiary identification security transfer CODE which is (LN2932K12CP) for clearance of the funds. Send it immediately to us for instant accreditation of your proceeds into your account as listed below. Ensure you contact Timothy P. Flynn with all your Full contact details regarding of your Funds and get back to us for more information. NB. THIS TRANSACTION IS BEING MONITORED BY THE UNITED STATES GOVERNMENT IN ORDER TO GUARDS US FOR INTERNET IMPOSTOR AND AWARE OF SCAM..
Their modus operandi is unique. It could be that man in your neighbourhood who doesn't seem to have any visible means of livelihood but lives big and drives the best cars. He might even have a business front but lives larger than the business that you begin to wonder if his lifestyle is strictly derived from that business you know. Or, it could be that man you see around everyday when workers and businessmen are leaving their homes in the early morning who does not go anywhere but lives like a prince in your neighbourhood. They also come in other forms. Suddenly, you realise that somebody is using your email account to solicit funds from your facebook friends, your colleagues or other contacts in your email. You may be surprise to receive this mail since you don’t know me personally, but with due Respect, trust and humility, I write to you this proposal. I am Mrs. Debra Tho Wilcox, the wife of late Hamas Wilcox,(Businessman) of Darfur Sudan. It is indeed my pleasure to contact you for partnership of a business venture which I intend to establish in your country. I got your contact while researching on the Internet for a reliable and capable foreign partner that will assist my family to transfer fund to his/her personal or private account for investment purpose. Though I have not met with you before, but considering the recent political instabilities in my country, I believe one has to risk confiding even with a stranger sometimes in life. I have all vital documents to the huge amount of money "Fifty Million US Dollars" which my late husband deposited with a trust firm abroad for investment purposes before he was assassinated by unknown persons during the recent war in Darfur Sudan. I have decided to invest this money in your country or anywhere safe for security and political reasons. I want you to help me retrieve this money for onward transfer to any designated bank account of your choice for investment. All I require is your honesty, sincerity and kind co-operation. I will give you further details as soon as you indicate interest to helping my family. I wait for your kind consideration to my proposal. are interested. I got your reference in my search for someone who suits my proposed business relationship. details,your earliest response to this letter will be appreciated. Glory to God in heaven. My name is Mrs.Annen Joubert from South Africa. I am married to Mr. Abraham Benjamin Joubert, who is a farmer here in South Africa for many years before he died in 2004. We were married for eleven years without a child. He died after a brief illness that lasted for only four days. Before his death we were both born again Christians. Since his death I decided not to re-marry or have any child outside my matrimonial home which the Bible is against. This week my Doctor told me that I would only last for the next few weeks due to my cancer illness. I am contacting you now because I need a Christian and God Fearing individual that will utilize the money that my late husband left behind for humanitarian purpose a total sum of Ten Million, U.S.Dollars. Presently, this money is still under the safe keeping in a Financial Institution(Bank). I want a religious individual that will use this fund on, orphanages and widows propagating the word of God and give help to mankind. The book of truth(BIBLE) made us to understand that blessed is the hand that giveth. I took this decision because I don't have any child that will inherit this money and my husband relatives are not religious and I don't want my husband's hard earned money to be misused by unbelievers. I don't want a situation where this money will be used in an ungodly manner. Hence the reason for taking this bold decision. relatives around me always. I don't want them to know about this development. Please assure me that you will act accordingly as I stated here in with God all things are possible. As soon as I receive your reply I'll forward your personal information to our family lawyer who has the legal instruction to arrange for the release of the money to you and he is in Africa. All legal documents that will make the money to be released to you will be signed by me once I received your response. I want your prayers as I will stop here because of my health. Hoping to hear from you as soon as possible. Remain blessed in the name of the Lord and contact me by email:goldbassics@gmail.com . Accounting unit of the bank. 2000 in a plane crash. willingness to assist us and also benefit your self to this great business opportunity. expenses if you agree to my proposal. sent to you when I hear from you. assist and be fully involved in this deal. apex bank of Asia for urgent communicate and transfer procedure. I know you will be very much interested, kindly provide me with the details below. Further details to proceed will be providing once I hear from you. deze instellingen ik hoor. Ik wil mijn zelf te bewijzen iedereen daar. Bedrag dat nodig is: ... ... ... .. 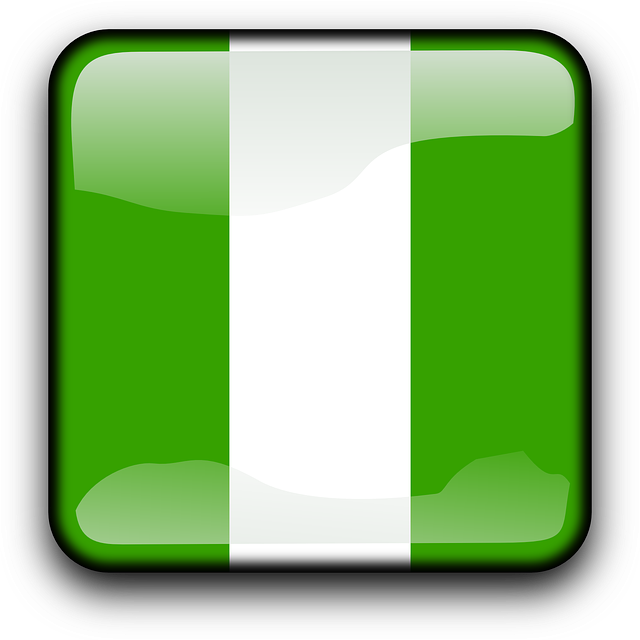 This is to inform you that I came to Nigeria yesterday from London, after series of complains from the FBI and other Security agencies from Asia, Europe, Oceania, Antarctica, South America and the United States of America respectively, against the Federal Government of Nigeria and the British Government for the rate of scam activities going on in these two nations. I have met with the President of Nigeria Dr. Good luck Jonathan today both of the nation’s government has claimed that they has been trying there best to make sure you receive your fund in your account. Right now, we are working in collaborations with the Nigerian Economic and Financial Crime Commission (EFCC) to make sure that you received your funds approved to you by both the British government and the Nigeria government. You can be paid either by online banking to your Bank account, or Bank Draft preferred by you. And the only money you need to pay upfront to this regards is £260 Pounds account opening and creation of Account. However to expedite action, you are required to re-confirm these information to me. (6) Confirm your total amount so that we don't make mistake. Sincerely, you are a lucky person because I have just discovered that some top Nigerian and British Government Officials are interested in your fund and they are working in collaboration with One Mr. Richard Graves from UK to frustrate you and thereafter divert your fund into their personal account. I have a very limited time to stay here in Nigeria so I would like you to urgently respond to this message so that I can monitor the transfer of your fund before I go back to London. My name is James F. Entwistle the new Ambassador to the Federal Republic of Nigeria.The United States Senate hadconfirmed my nomination on October 28, 2014.From 2010-14 i served as U.S. Ambassador to the Democratic Republic of the Congo. As a career member of the Senior Foreign Service (Minister Counselor) i served as the Deputy Chief of Mission at the U.S. Embassy in Bangkok, Thailand from July 2007 until June 2010. From 2003-06,i served as Deputy Chief of Mission at the U.S. Embassy in Colombo, Sri Lanka with simultaneous accreditation to Maldives. I joined the Foreign Service in January, 1981.I served in Yaounde, Douala and Niamey from 1981-86. From 1986-90 I was a watch officer in the Bureau of Intelligence and Research and the desk officer for Kenya and Uganda in the Bureau of African Affairs. From 1991-94, i headed the Refugee Assistance Unit at Embassy Bangkok with extensive travel to Cambodia. After serving as Deputy Chief of Mission in Bangui 1994-95,i worked in the Bureau of Consular Affairs in the Department until my assignment as Counselor for Political Affairs at the U.S. Embassy in Kuala Lumpur, Malaysia 1999-2003. I am a graduate of Davidson College in North Carolina.My foreign languages are French and Thai.I am married to Pamela G. Schmoll. we have two children. HOWEVER I SHALL BE COMING TO YOUR COUNTRY FOR AN OFFICIAL MEETING AND I WILL BE BRINGING YOUR FUND OF $15.5M ALONG WITH ME BUT THIS TIME I WILL NOT GO THROUGH CUSTOMS BECAUSE AS AN AMBASSADOR TO NIGERIA, I AM A US GOVERNMENT AGENT AND I HAVE THE VETO POWER TO GO THROUGH CUSTOMS. YOU HAVE REALLY PAID SO MUCH IN THIS DELIVERY THAT MAKES ME WONDER. YOU ARE A VERY LUCKY PERSON BECAUSE I SHALL BE BRINGING IT MYSELF AND THERE IS NOTHING ANYONE CAN DO ABOUT IT. I am writing you from western union to inform you that An immediate payment of $4,500,000.00USD(Four Million,Five Hundred Thousand United States Dollars) has been ordered for each of the affected victims. This is in accordance to our recommendation, meanwhile it would be paid to you through the western union Money Transfer via special arrangement in installments of US$5,000 Dollars, so that you can have enough funds to pay for the Tax Clearance and bank charges before you will receive the balance of funds. Your funds has been approved by the United Nation the United Nations is a highly reputable organization and we work very hard to keep a clean image and make sure that all the people that have been deceived or duped in Benin and West Africa receives their funds with ease; so with regards to your payment, you have absolutely nothing to worry about because I personally have being working very hard to make sure you receive your funds within the 24hrs upon the receipt of your payment. The moment you make the payment, everything would be fine and we will make sure that your funds get to you at the shortest possible time. Sequel to that, kindly note that we cannot in anyway tamper with your funds either by alteration or by deduction and the reason is to avoided unwarranted discrepancies as your payment has been queued into our database waited to be made upon the receipt of this possible time. As to reassure you once again that you have nothing but my 100% assurance that you will receive your payment as soon as you send the requested Notarization fee. It is also my pleasure to inform you that we have finalize all the necessary arrangement on how to wire the funds to your name, but before we proceed you are required to pay for the Notarization fee of $75 as advised in my first email notification to you. Every arrangement has been concluded and the fee is the only thing that holding this transaction right now that once you sent the $75 today just consider everything done without no further delay. I will advice you to try humanly possible to make sure you do it since everything is in order. You are advised to make the payment through MONEY GRAM Or WESTERN UNION MONEY TRANSFER, and as soon as you make the payment with the below information, you are to provide the following details to this office; Senders Name, Sender Address and Reference Number. Note: this is the only financial obligation that is required from you as to enable us complete the transfer to your name am waiting to hear from you with the payment detail to enable ud=s complete with the transfer to your name. The Sacramento City Fire Department says someone may be trying to scam phony donations for the Firefighters Burn Institute. Spokesperson Roberto Padilla told FOX40 the alleged scammers used the misfortune of the 3 local firefighters injured while battling a house fire on 22nd Avenue to try make money. To add insult to injury, Padilla said 2 fire department personnel were the ones who received those phone calls soliciting donations. “They go to work every day fully knowing that they could get injured, hurt, burnt, or killed. It’s really sad. I don’t know how people look at themselves in the mirror,” Executive Director of the Firefighters Burn Institute Jim Doucette said. I submit your parcel to the FedEx Courier services Nigeria over, They promised that your parcel will leave immediately they received your re-confirmed information to avoid wrong delivery. Now contact them with your detail information below, to enable them settle the security epartment of their company and deliver your parcel direct to your home address in your country which you will forward to FedEx in the below contact information soon ok. Here is the requested information needed by the Director of the FedEx Diplomatic Division which they instructed me to email you to provide for them while contacting them for easier identification when the diplomat arrives in your country ok. I registered the parcel with the FedEx Courier Company in the name of Computer accessories as its content and I didn't let them know that it contains bank draft in the amount funds of US$2.8million because of fear of betrayal or to avoid the Diplomat man made away with your bank draft containing the sum of $2.8Million ok. I am Mr. Allen Cole from EQUITY Loans and we are here to aid you in achieving you new year aspirations and resolutions and to make them all of them come to pass, How are we going to do this? you ask, by giving you loan interest loan to help catapult you in the direction of your dreams, Your only limitation now is your dream because we have all the resources you will be needing. So if you are interested in applying for a loan please contact us now. I want to sue a company for a breach of contract. An experience attorney is needed. It will be ideal if you contact me for additional information in the event that you can offer assistance. This mail comes to you In regards to the recent meeting between the United Nations and the white house to restore the dignity to the Nations and also based on the agreement with the World Bank, the IMF and the Paris Club Assistance to help and make the world a better place for all with the sole aim of abolishing poverty. 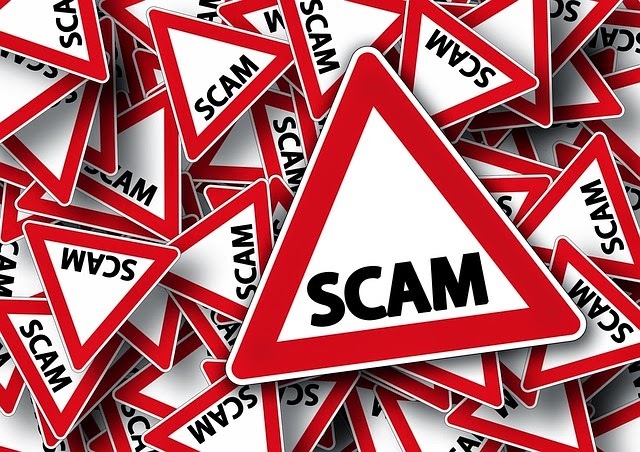 This email is to all the people that have been scammed one way or the other in any part of the world, the UNITED NATIONS has agreed to compensate them with the sum of £1,500,000 (One Million, Five Hundred Thousand Pounds Only). This includes every foreign contractor that may have not received their contract sum and people that have had an unfinished transaction or international business that failed due to Government problems etc. Your name and email was in the list submitted by our Monitoring Team of FBI, Scotland & United Kingdom Financial Commission observers and this is why we are contacting you. as he is our representative in United Kingdom, contact Him immediately for your Cheque/ International Bank Draft of £1,500,000 (One Million, Five Hundred Thousand Pounds Only). your correct mailing address, where you want him to send the Draft to. My name is Mrs.Stella Ellis ,The contract award and monitoring committee of the ministry of industry and international trade development ,my duty as empowered by the Mauritius government is to provide the basic amenities, social recreational activities in urban and rural areas. This program includes assistance to deprived local communities and to co-ordinate projects and development at the national level.Furthermore,from this projects were able to realize some reasonable amount of u.s.$161.8 One Sixty one million eight hundred thousand US. dollars only) as commission from various contractors resulting from over invoicing of payment receipts/vouchers hence all the necessary approvals has been completed. These approved funds were packaged and dispatched through a security company for onward delivery to its destination in Europe.The money was first deposited into a security vault before we arrange for its movement to Europe through diplomatic channel using decoy purporting that the fund belongs to an expatriate/company. As we are government officials, the oath of office does are not allowed us to operate foreign bank account,hence we need you to stand as the beneficiary and claim the fund on our behalf from the security company. Presently I am now in Europe to search for a reliable person/company of high integrity /dignity and one with conscience who will claim this fund on our behalf as the beneficiary. We have agreed to give you 20% of the total sum as commission for your assistance/effort and 5% will be used to settle every expenses incurred, we will use 75% to invest under your recommendation/guide and go into joint venture business with you . I would greatly appreciate your assistance and I look forward to your response as soon as possible . From Mr. Ban Ki-moon United Nations Secretary. We write in regards to your delayed Contract/Inheritance Funds in the sum of Eight Million Five Hundred United States Dollars (US$8,500,000.00) which you are yet to receive as a result of your inability to raise the required fee(s) to conclude your Transaction. The United Nations has decided to proffer a solution that will make it easier for all the Beneficiaries to receive their Funds. We understood that some Fees are required in order process and Transfer your Funds into your Account. We are also aware that most Beneficiaries do not have these required fees. We have therefore deliberated with the Bank in charge of this payment to allow Beneficiaries the privilege of receiving their Funds in two (2) or three (3) installments. In this case, Beneficiaries will no longer be required to pay the fee at once but part of it depending on the number of installments such Beneficiary will like his/her Funds to be released to him/her. Write the Bank and request that you want your fund to be transferred to your account by installments payment,(ATM & Wire transfer) so that once the first payments enters into your account you can then use money from there to facilitate the transfer of the remaining balance, once the first installments enters into your account withdrawal from your account to FIRST BANK Wisconsin USA. Online transfer procedure. The FIRST BANK USA. in Wisconsin USA which is now in charge of your Payment has agreed to give the Beneficiaries the option of receiving their Funds at once, in two or three installments. Therefore, you should send him your full Name and telephone number/your correct mailing address. It is a pity that, because of a peanut that was required of you to pay to enable your acclaimed fund payment legal documents to be release to you to enhance and expedite the successful conclusion of your long awaiting contractual/inheritance fund within a frame work of 48hrs made you to stop communication. What a shame and embarrassment? If actually, you have spent money to execute this contract and have spent money in the hands of the fraudsters and impostors without achieving your goal in receiving this fund, what stops you from giving out one chance benefit of doubt and sacrifice with this token fee to see your fund payment successfully completed? This will help the beneficiaries to pay part of the fee and receive part of their Funds with which such beneficiary can upset the remaining fee and receive his/her complete Funds. One Hundred Dollars ($100) fee will facilitate the release of One Million United States Dollars (US$1,000,000.00) only. Two Hundred Dollars ($200) fee will facilitate the release of Two Million United States Dollars (US$2,000,000.00) only. Three Hundred Dollars ($300) fee which is the total fee will facilitate the release of your Full Contract/inheritance Funds in the sum of Eight Million, Five Hundred Thousand United States Dollars (US$8,500,000.00). However, Feel free to inform us how much you can raise should you cannot afford any of the above Mentioned installment so as for us to talk to the Bank to know how much out of your Funds they could release to you with the amount you can come up with. This is the best the United Nations can do for you and you are advised to take advantage of this opportunity. Kindly, Get back to me immediately with your option so that i will forward you the contact person at the paying Bank in FIRST BANK in Wisconsin USA. to indicate your preferred option. NOTE: Do not be shy to indicate the amount you have in hands (no proper-amount is so small to trigger installments-payment base on our discussion with the Bank) so that the first payment will move to your account for you to confirm the existence of the fund before your proceed for the balance. Note that your payment files will be returned to the IMF within 72 hours if we did not hear from you, this was the instruction given to us by the IMF. I am Dr. John Iyke Eze , Director allocation department from the Central Bank of Nigeria.My office monitors and controls the affairs of all banks and Financial institutions in Nigeria concerned with foreign claim payments I am the final signatory to any transfer or remittance of huge funds moving within banks both on the local and international levels in line with foreign claim settlements. I have before me list of funds, which could not be transferred to some nominated accounts as these accounts have been identified either as ghost accounts, unclaimed deposits or over-invoiced sum. 0n this note, I wish to have a deal with you as regards to an unpaid fund I have a file before me and the date's are correct and UN-tampered. As it is my duty to recommend the transfer of these surplus funds to the Federal Government Treasury and Reserve Accounts as unclaimed deposits, I have the opportunity to write you based on the instructions I received two days ago from the Foreign Debts reconciliation dept to submit the List of payment reports / expenditures and audited reports of revenues. Among several others, I have decided to remit your claim sum following my idea that we can have a deal/agreement and I am going to do this legally. 1. The sum of USD$25.7M only will be transfer into your account after the processing of all relevant legal documents with your name as the bonafide beneficiary,the transfer will be made by Draft or telegraphic Transfer (T/T), conformable in 3 working days. 2. This deal must be kept secret forever, and all correspondence will be strictly by email / telephone, for security purposes. 3. There should be no third parties as most problem associated with your fund release are caused by your agents or representative. 4. Note that after the successful completion of this transaction,you and I will have a fair share of the fund in the ratio of 50:50. If you AGREE with my conditions, l advise you on what to do immediately and the transfer will commence without delay as I will proceed to fix your name on the Payment schedule instantly to meet the three days mandate. I hope you don't reject this offer and have this funds transferred. Waiting for your reply soon. arrangement to have your beneficiary fund settled once and for all. shall be made in future to pay off the remaining fund due you. recognize/process your ATM Swift Payment. My name is William Patrick from Ivory coast,I am the only Son of Mr Richard Patrick Pius, I want you to help me and my younger sister invest our inheritance money in your country. I lost my mother at the age of 10, My father was poisoned to death during the 2011 war here in Cote D'Ivoire. Before the death of my late father he deposited the sum of euro 14.5 million in the Bank and he made me the beneficiary ( next of kin). But due to the political problem here and the reason behind my parents death, I will not wish to invest here, So I want you to assist me transfer this fund to your country for investment purpose since the law of our country demand that I look for foreign partner because of my age at present. As for your kind assistance, I am willing to offer you 10% of the total sum after the successful end of the transaction. I am Mr. Philip TIOS, a regional managing director (coris bank int'l) ouagadougou Burkina Faso, in my department we abandoned US$9,500.0000 united state dollars, to transfer into your account as a dormant fund. Kindly send us PI asap so we can T/T partial payment to you. Complements of the season my friend, how are you and your family? I am the investment officer of Indonesia based investment company that is ready to fund projects outside Indonesia in the form of debt finance. The company grant loan to both corporate and private entities at a low interest rate of 3+ 3% ROI per annual. The terms are very flexible and interesting. Kindly revert back with the e-mail Id below,if you have projects that needs funding for further discussion and negotiation with any of the companies that will be interested to fund your project. Dear Sir/Ma I represent the interest of government officials from South Sudan. We are in need of a foreign associate with capability to supply large number of agricultural machines (tractors, etc.) of durable quality. Please, contact me for details if you are able to handle such export business. Anukur Peter. How are you today, Please be informed that I have mail you earlier without been respond, Hope all is well? Please accept my apology for sending you unsolicited anti-spam mail it was a result of my slow connection from our Telecommunication. I am Mr. Albert W. William, a Burkinabe by Nationalist and a reputable Banker. I occupied the position of Foreign Accountant Director, it is with good spirit of heart I opened up this great opportunity to you hoping that you will not betray this trust. Although A deceased client of mine died as the result of a heart-related condition on March 12th 2005. His heart condition was due to the death of all the members of his family in the tsunami disaster on the 26th December 2004 in Sumatra Indonesia. For more information: http://www.youtube.com/watch?v=kwIAgy4y6EY. Honestly, he left a balance deposit worth the sum of US$15,500,000.00 Million and the one whom could have come as his NEXT-OF-KIN died together with his family in tsunami disaster which happened on date above more than 10 year ago, although I was his special adviser/Manager then. now since he had nobody aware of this Account but only me I decide to contact you alone, my advice is your assist and act as the only existing NEXT-OF-KIN to the deceased which our bank will replace the Deceased Account information through proper documentation in position of your own Account. This transaction is risk-free; it will never harm your good reputation in your society because no one can trace the Account. Note; I offer a radio share at equal, 50% for you and 50% for me since you were going to provide a comfortable A/C. After that, I will immediately come over to your country for investment with my own share of the money. The chapter of this transaction will be closed entirely. Note; that in a business of this nature, the bank don’t want to know your difference between the Deceased, Religion, Country or believe because our bank inheritance law is against that. And all the information and data's you will need to make successful claim of this fund in the Bank are fully ready with me now. Please urgently confirm your willingness and interest to assist. their future well-fair in the society. me through secondary E_mail revphilipjeff@gmail.com . Please, kindly take your time to understand the content of this email. I trust you are doing great. Apologies for unsolicited email. Please take a moment to look at the contents of this email. I will like to introduce you to a transaction that would be of immense benefit to both of us. Being an executor of wills, it is possible that we may be tempted to make fortune out of our client's situations, when we cannot help it or left with no better option. I have a current situation&nbsp; of my late client who willed a fortune to his next-of-kin. It was most unfortunate that he and his next-of-kin died on the same day in&nbsp; a mysterious auto-crash. I am now faced with a delima about who to pass the fortune to. According to the English law, the fortune is supposed to be bequeathed to the government. However, I don't belong to the school of thought that proposes such fortunes be given to the government. I therefore seek for your assistance in presenting you as next of Kin to the deceased being that you share the same last name with the deceased. Please give your response to this email via return email. I will provide you with other details upon your response to this email and as soon as we establish correspondence. I am writing to seek your cooperation over this business proposal. First I must solicit your confidence in this transaction; this is by virtue of its nature as being utterly confidential and top secret. Though I know that a transaction of this magnitude will make any one apprehensive and worried, but I am assuring you that all will be well at the end of the day. Let me start by introducing myself properly to you. I am Mr. Alfred Best, an account manager with Clydesdale Bank international United Kingdom. I came to know you in my Private Search for a Reliable and Reputable Person to handle this Confidential Transaction, which involves the transfer of huge sum of Money to a Foreign Account requiring Maximum Confidence. In my department, i discovered an abandoned sum of £5million (FIVE MILLION BRITISH POUND) Only, in an account that belongs to one of our foreign customers who died along with his entire family in a plane crash that took place in Kenya, East Africa, the bank now expects a next of kin as beneficiary. Valuable efforts are being made by the Bank to get in touch with any of the Bromley’s remaining family or relatives but all to no success. The Late DR. GEORGE Bromley is a known Philanthropist in Africa and U.SA. Since we got information about his death, we have been expecting his next of kin to come over and claim his money because it cannot be released unless somebody applies for it as next of kin or business associate to the deceased as indicated in our banking guidelines but unfortunately all his supposed next of kin died alongside with him at the plane crash leaving nobody behind for the claim. It is therefore upon this discovery that I now decided to make this business proposal to you and release the funds to you via your foreign bank account by standing as the next of kin/ Business associate to the deceased for safety and subsequent disbursement. The Banking law and guideline here stipulates that if such money remained unclaimed after seven years, the money will be transferred into the HM treasury account as unclaimed fund. The sharing of the fund is thus: 40% for you the account owner, 50% for me and the remaining 10% for expenses for both parties. If this proposal is acceptable by you, do not make undue advantage of the trust i have bestowed in you. On your interest, kindly respond with your details, such as: 1.Your Full Names: 2. Cell Phone Numbers: 3. Fax Numbers: 4. Postal Address: 5. Occupation and 6. Date of birth. Reply to my private email: alfredbestprivate5@gmail.com and mine as well shall be sent to you for you to know whom you are dealing with. One Promise Ntuen Ekemini has been sentenced to a year in jail for hijacking the e-mail of a lawful owner of a property located in Western Australia valued at $800,000 and trying to sell the property. The case was judge by Justice Kudirat Jose of a Lagos High Court sitting in Lagos. 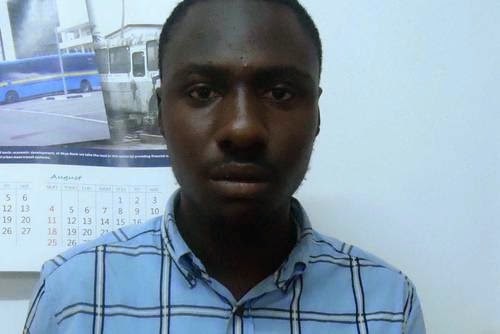 According to the Economic Financial Crimes Commission (EFCC) the suspect was charged on a five-count charge bordering on conspiracy to defraud, attempt to obtain money by false pretences and forgery. My name is Joy Harry, [joyharry222@hotmail.com ] i got your contact on facebook, please i want to discus something important with you, can you please reply me back. FROM: INTERNATIONAL PROMOTION/PRIZE AWARD DEPT. the globe. This promotional program takes place every three year. this date all unclaimed funds will be included in the next stake. inform our agent as soon as possible.